"No matter how hard the internet or anyone tries to make me kill myself. 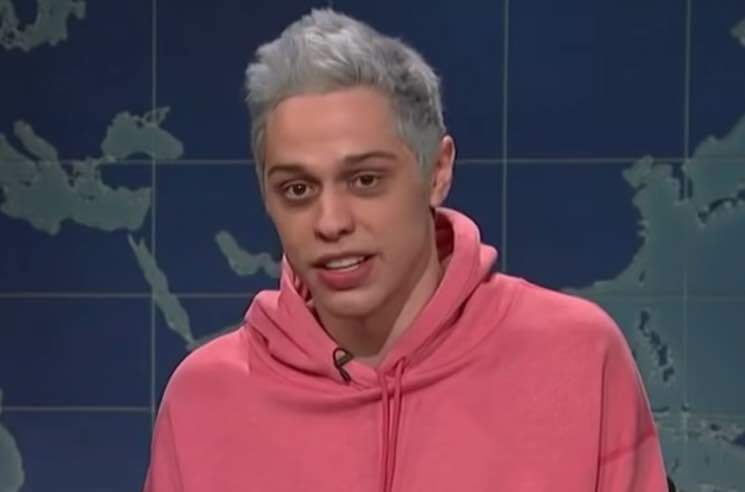 I won't"
Pete Davidson has shared a heartfelt message, addressing online bullying and his mental health since his high-profile relationship with Ariana Grande. The couple broke up back in October, and Davidson has cracked jokes about covering up tattoos and his history of marriage proposals, but now he's shared a more serious reflection on the ended relationship via Instagram. "I'm trying to understand how when something happens to a guy the whole entire world just trashes him without any facts or frame of reference," he wrote. "Especially in today's climate where everyone loves to be offended and upset it truly is mind boggling." Davidson went on to reveal that he's been getting bullied online and in public since his relationship with Grande began nine months ago, and reiterated that he struggles with bipolar disorder and suicidal thoughts. "No matter how hard the internet or anyone tries to make me kill myself," Davidson continued. "I won't. I'm upset I even have to say this." Davidson ended by thanking those "holding me down and seeing this for what it is." Since the breakup, Grande released the Davidson-referencing "thank u, next," and dedicated a page of her Mean Girls-inspired burn book to Pete in the accompanying music video. She's also had to cover up some tattoos.